Editor's note: Today's guest post is from Daniel Viveiros, Head of Technology at CI&T, a Google Cloud Platform Partner of the Year LATAM 2013. In this post, Daniel describes how CI&T in partnership with Coca-Cola built the ‘Happiness Flag’ for the Coca-Cola 2014 FIFA World Cup™ campaign in Brazil. To learn more about the Happiness flag visit this website. As part of the ‘The World’s Cup’ campaign, Coca-Cola wanted to do something that would visually illustrate soccer’s global reach. Coca-Cola invited fans around the world to share their photos to create the Happiness Flag -- the world’s largest mosaic flag crafted from thousands of crowdsourced images submitted by people in more than 200 countries. 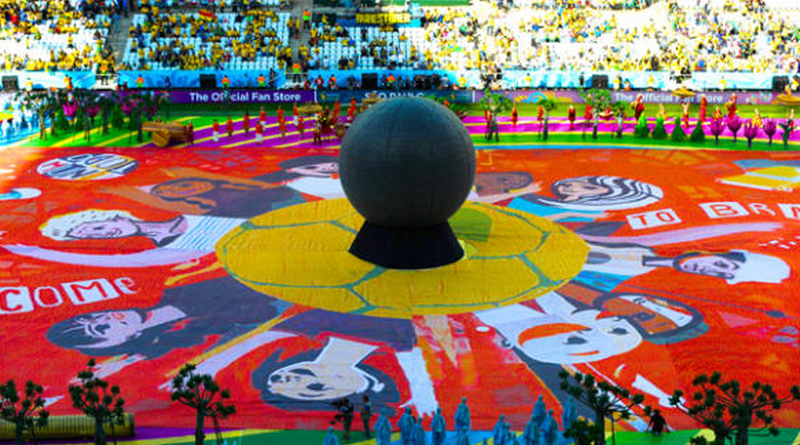 The flag, 3,015 square meters in size, was unveiled during the opening ceremony of the 2014 FIFA World Cup™. A project of this scale calls for high performing and reliable technology, so when we started working with Coca-Cola to build the infrastructure for the Happiness Flag campaign, we knew we had to use Google Cloud Platform. By using Google Cloud Platform, we turned a big, innovative idea into reality on a global scale. 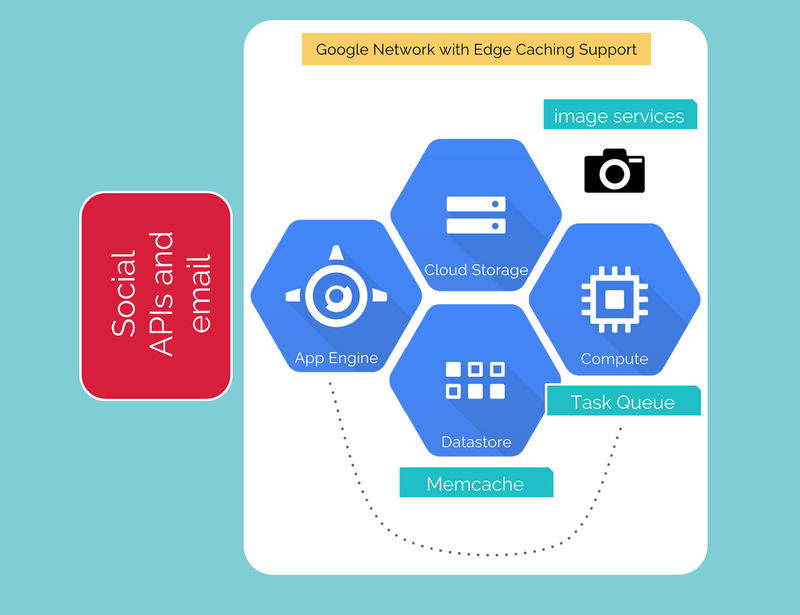 Google App Engine enabled us to handle the computing workload, capable of handling millions of images via Twitter, Facebook, Instagram and email, to the searches for images and view requests. The architecture was scalable to meet this kind of transaction demand and the fluctuations in traffic. We stored all the images in Google Cloud Storage, where integrated edge caching support and image services made it an ideal choice for serving the images. Meanwhile, Google Compute Engine gave us the capability for long-running processes, such as the Twitter integration and advanced image transformations. We were able to show how powerful the creation of hybrid environments can be, using both Platform-as-a-Service (Google App Engine) and raw virtual machines (Google Compute Engine) in the cloud. We used other out-of-the-box Google Cloud Platform technologies like Memcache, Datastore and Task Queues to ensure outstanding levels of performance and scalability. We know that many fans will be viewing the Happiness Flag on their mobile devices, so we needed a platform that would offer different capacities of computational power. The system provides amazing user experience with high performance and low latency, regardless of the device and its location. Using Google Cloud Platform, the campaign runs smoothly 24/7 and includes redundancy, failover techniques, backups and state-of-the-art monitoring. Plus, it’s affordable. After the physical flag was unveiled before the opening match, the digital mosaic was made available with a Google map-like zoom in and out with eleven levels of detail. Anyone who submitted an image can now search for themselves on the virtual flag and the search results will show up as pins in the mosaic, like locations found in a Google map. By clicking on the pin, their photos open up in an overlay and they are taken to the maximum level of zoom in to see the "neighborhood" around their image in the flag. After the match, a link to the Happiness Flag site was sent to each participant as a souvenir. Our goal was to help Coca-Cola create a project that would celebrate the 2014 FIFA World Cup™ by enabling fans from all over the world to express their creativity in a show of unity and art. What better way to open the games than by displaying the Happiness Flag, which is a symbol of the spirit of the game and its fans.